For the past five seasons, New Girl has captured our hearts and made us fall in love with these quirky characters. But when you think about it, there's one person in this group we still don't know as well as we think we do. In fact, we still don't even know his first name. Schmidt has been a prominent character since Day 1 of the series, but there's still so much of his life outside of the loft that we have no idea about. However, all of that is about to change now that Schmidt's dad is coming to New Girl for a little father-son bonding. (His son is about to get married, after all.) 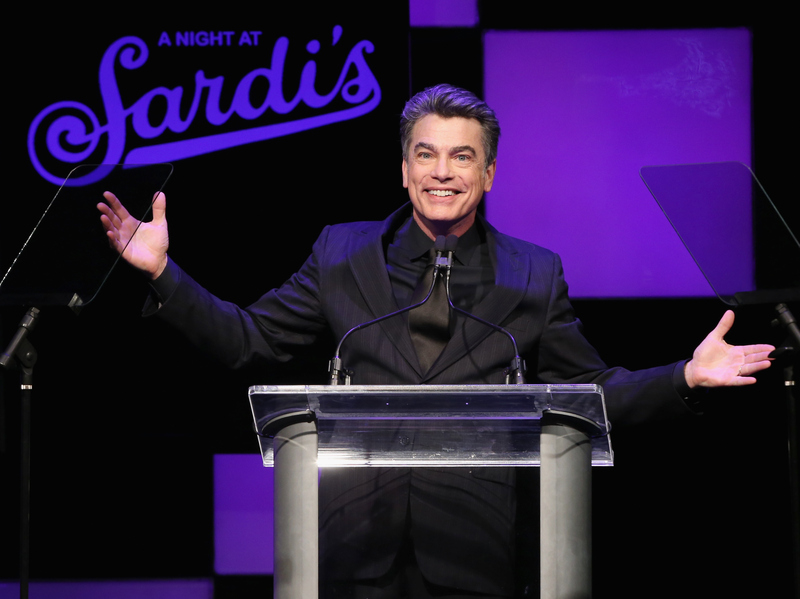 And as for who's playing the role of Schmidt's dad, Peter Gallagher could not be a more perfect fit for the part. The actor established himself as the ultimate TV dad during his memorable four-season arc as the lovable lawyer with a heart of gold Sandy Cohen on The O.C. It was impossible not to fall head over heels for this character (and those eyebrows) as he tried to preserve his moral integrity among the Newport elite. But that's not the only reason fans should be excited to see Gallagher join the New Girl regime. You see, this isn't the first time Gallagher and Greenfield have appeared in the same show together. Once upon a time, Greenfield actually played a younger version of Gallagher's popular O.C. character Sandy Cohen during a flashback episode back in 2007. Unfortunately, it doesn't look like Schmidt’s previously-introduced mother (played by Nora Dunn) is slated to appear alongside her on-screen husband, but maybe the writers are saving that reunion for the wedding. Either way, hopefully it'll give both actors an excuse to return for the big day. And really, Schmidt wouldn't want it any other way.